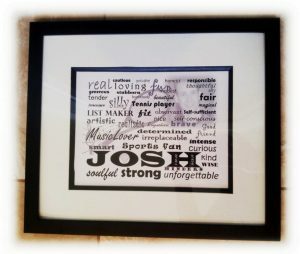 Beautiful, custom made graphic word art to honor an individual, celebrate an achievement, wedding, retirement, or as wedding gifts. The ideas are endless. Matted and framed.